Whatever your trade, your hands are the one tool you're sure to use every day. As a result, it's important that you don't compromise when it comes to their safety. 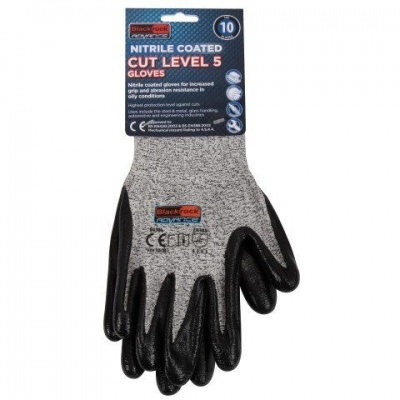 The Blackrock Cut Level 5 Nitrile Coated 84307 Gloves are designed to offer the highest levels of resistance against mechanical risks while also remaining lightweight enough to provide a high level of dexterity. These are designated Category II gloves, meaning they should be suitable for most medium-weight tasks. As the gloves offer exception protection against mechanical risks, liquids and oil, they are suitable for use in tough wet and oily environments where there is a high risk of injury from physical hazards. 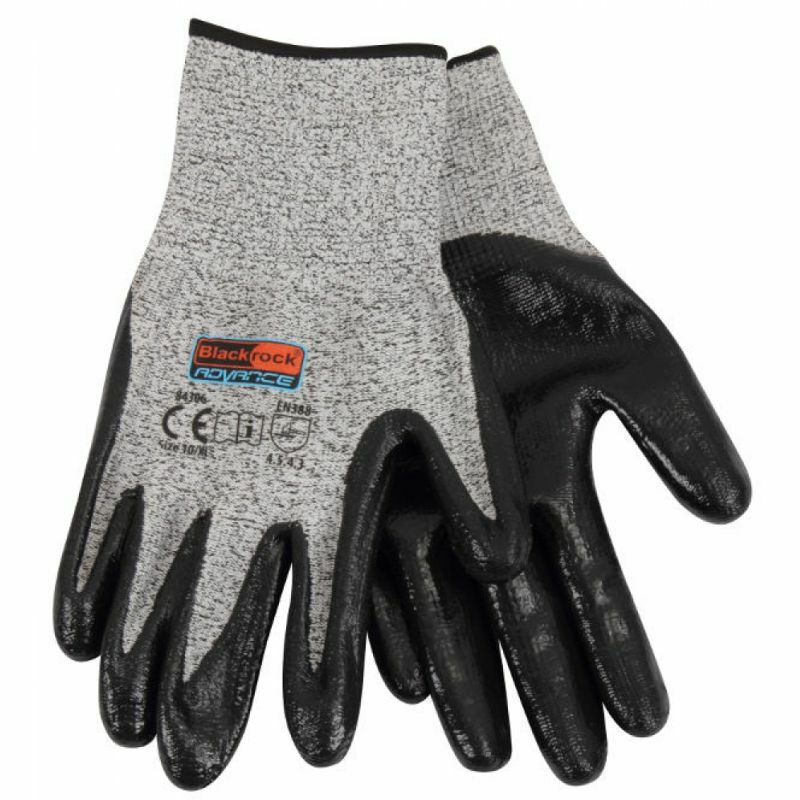 The Blackrock Nitrile Coated Gloves are available in three sizes to fit most hands. Please measure the circumference of your hand around the knuckles (excluding your thumb) with your palm open and your fingers together. Next, measure the length of your hand from the tip of your middle finger to your wrist.